Lovely tags Karelyn, LOL at the bikers on your metal one. 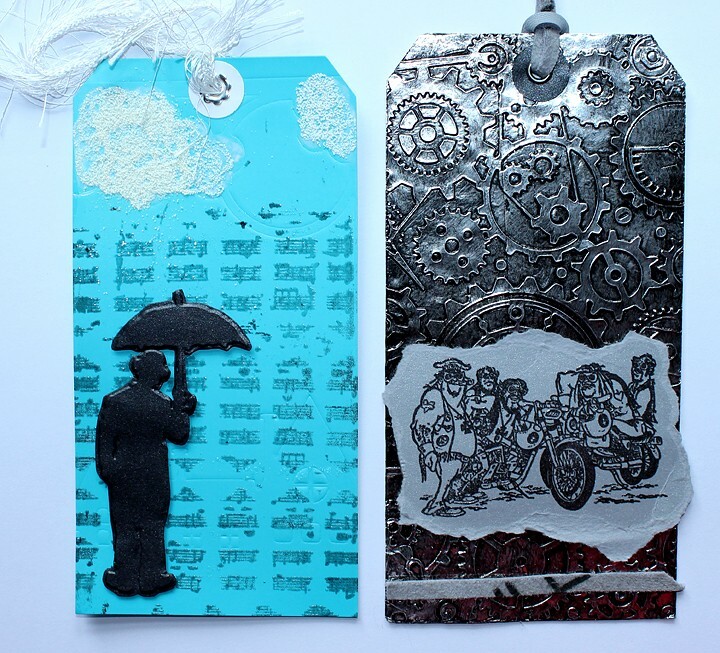 Love the background on the metal one, and Singing in the Rain is cute! Lovely tags Karelyn especially the metal one. I got the metal one and the bikers are a great image, thankyou Karelyn. And I kept the umbrella man.